Well hello to you my reader chums! Recently in my April favourites post I mentioned one of BarryM's 'Speedy Quick Dry' nail polishes and how I wanted to get my hands on some more of the range, which I did as you can see below. I haven't written a beauty review in a while so today I wanted to share my thoughts on this selection. The three colours I've got are all very Spring and Summer pastel shades, perfect for the season right now. I love all these colours as they're very girly and the sort of colours I like to wear on my nails at this time of the year. The packaging is an aspect I adore because its very vintage and reminds me of cute American diners if you understand what I mean? I'm pretty sure its really meant to represent race car finishing line flags but either way its super cute! The first colour I'm going to talk about is 'Lap of honour'. 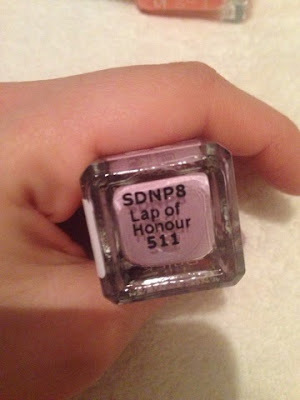 Purple is my all time favourite colour and one I always reach to when painting my nails so it was really no surprise when I chose this shade. Its quite a mid toned lilac shade, that's not too dark or too light and therefore perfect for the transition into lighter shades for the Spring/Summer time. I think the name is really sweet, something fitting in with the speedy 'theme'. The second colour is much more of a brighter option, this bold coral/peachy shade. I think the coral colour is perfect for the summer season with that sun kissed glow because a tan really compliments bold colours and for me coral/peach shades really give off that summer vibe. 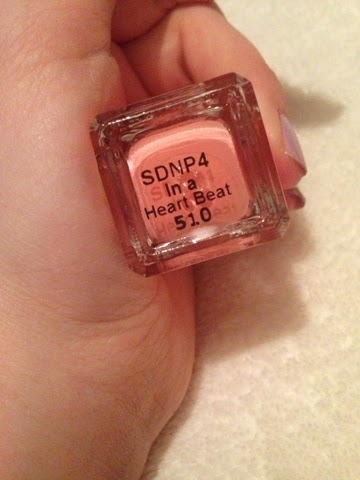 I love the name of this, 'In a heart beat' because its like when your heart skips a beat for someone, just too adorable really! 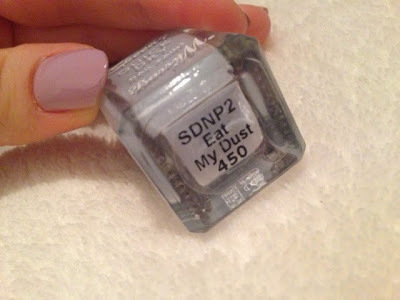 The last shade is the one I hyped up and its 'Eat my dust'. I'm obsessed with this colour because its the nicest pastel blue shade, great for any addition to a Spring time look. The name to this one isn't as sweet, however the polish itself makes up for it. The colours of the range I've got I love and what I've seen of the other shades, they are just fab, I'd happily purchase them all! The consistency of the polishes are quite thin initially and take a few layers to build up to achieve that lovely glossy finish when dry. I would say the 'super quick dry' idea is amazing as compared to usual BarryM polishes they do dry pretty fast, not as quick as I'd like to (imagine a 5 second drying polish, that'll be great), but quick enough that you could paint them, leave them for a bit and you're done. The lasting power is about the same as BarryM's usual range, so I'd say up to 5-6 days depending on the preparation of application. 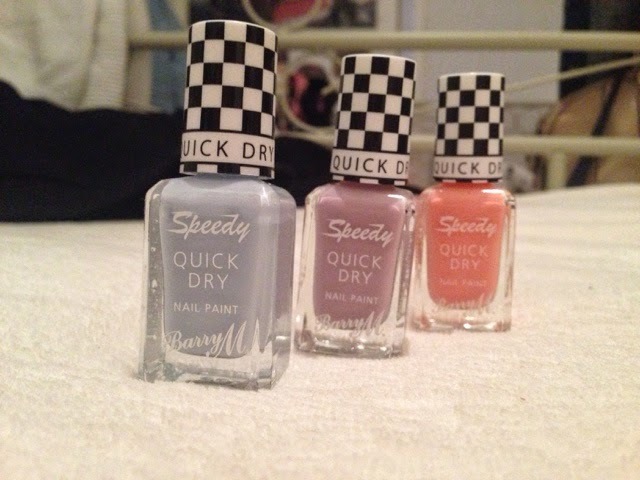 Overall, I'd give these a definite recommend because the colour spectrum is lovely, the packaging is oh so charming as are the names and it sticks to the 'speedy quick dry' label. All I can say is love love love! I hope you enjoyed this review. Have any of you tried these? Gorgeous colours! I love Eat My Dust! I love the colours BarryM offers, i always find myself buying them as the quality is too good to pass up, for such a small price! 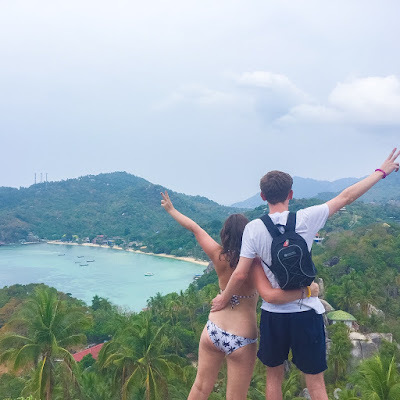 Lovely post as always Della!